The ICC Dictionary is a guide for everyone interested in the proceedings in The Hague. It contains almost 200 of the most important terms and concepts with short explanations in alphabetical order. 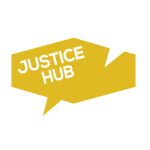 Justice Hub is presenting a selection of some of the terms highlighted by the Dictionary. Penalties: The ICC can impose a prison sentence of up to a maximum of 30 years. Under extraordinary circumstances, life sentence is possible. Judges can, however, add a fine or forfeiture of the proceeds that a person received through the commission of the crime. The ICC cannot impose a death sentence. Physical evidence: The prosecutor has the power to collect physical evidence. Physical evidence refers to any kind of object, often collected at a crime scene. However, the prosecutor can only collect evidence where the state gives his consent. She cannot use coercive means, such as searching a suspect’s home, without permission from the judges. The prosecutor can request a state or an international organisation, for example, peacekeepers of a UN mission, to collect physical evidence on her behalf. She can also request a state to produce evidence such as official documents or banking statements. Practice Direction: The Practice Direction supplements the Rules of Procedure and Evidence. It is a guideline that contains detailed practical information for the parties on how to file a submission. The Practice Direction includes, for example, information about the length of a submission, the due date and formalities like the font type. Pre-Trial Chamber: The Pre-Trial Chamber is responsible for every decision in the Pre-Trial phase – i.e. for every decision until the trial starts. If the Prosecutor wants to open an investigation proprio motu she must present evidence to the judges of the Pre-Trial Chamber and request it to authorise the opening of the investigation. During the investigation phase the Pre-Trial Chamber ensures the efficiency and integrity of the proceedings and safeguards the interests of victims. The Pre-Trial Chamber can issue arrest warrants or summons to appear. Moreover, it holds the initial appearance hearing after the arrest or surrender of a person. Finally, the judges of the Pre-Trial Chamber decide after the confirmation of charges hearing whether there is sufficient evidence to proceed to trial. If they confirm the charges, the case is passed to the Trial Chamber. Pre-trial phase (PT): The Pre-Trial phase refers to the first phase of a trial until the confirmation of charges. In the Pre-Trial phase the Pre-Trial Chamber decides whether a trial begins. Even though it is not a mini-trial, the prosecutor presents evidence to convince the judges that there is sufficient evidence to go to trial. This first phase of the proceedings functions as a filter to prevent a case-overload. It is intended to filter out weak cases. In phase 1, the Office checks all information on alleged crimes to filter out crimes that are outside the jurisdiction of the Court. In the second phase, the prosecutors analyse information they receive or have collected to determine whether the ICC could excercise jurisdiction over the particuar crimes with regard to the moment in time they were committed. In phase 3, prosecutors check whether the national authorities are already investigating or prosecuting the same persons for the same crimes. They also assess if the crimes are of sufficient gravity. In the last phase, the prosecutors consider the “interests of justice”. If an investigation would not serve the interests of justice, for example, because only one side could be targeted – the prosecutor can decide not to proceed. Presidency: The presidency is responsible for the proper functioning of the ICC. It assigns cases to the chambers and judges, it oversees the work of the Registry and maintains external relations with states, governments, non-governmental organisations and the public. The presidency is composed of the president, a vicepresident and a second vice-president. All are elected for a renewable term of three years by an absolute majority of the ICC judges. Proprio motu: The Latin term “proprio motu” means “on his own impulse.” It refers to the right of the prosecutor to initiate an investigation. After the Office of the Prosecutor (OTP) has received information about alleged crimes, she starts a preliminary examination. On the basis of information and evidence collected in this pre-investigation, she requests the authorisation of the Pre-Trial Chamber to open a formal investigation. In contrast to the investigations initiated by the prosecutor proprio motu, situations can also be referred by states or by the Security Council. Provisional arrest: In urgent cases, ICC judges can ask the authorities of a particular state for a provisional arrest of a person. However, time limits apply as set out in the Rules of Procedure and Evidence. According to Article 92 of the Rome Statute, a person provisionally arrested may be released if the state has not received the request from the ICC for surrender of the person to The Hague within the time limits. Have a look at the other letters: A, B, C, D, E, F, G, H, I, J, L, M, N, O, R, S, T, V, W and the Numbers 1-10. 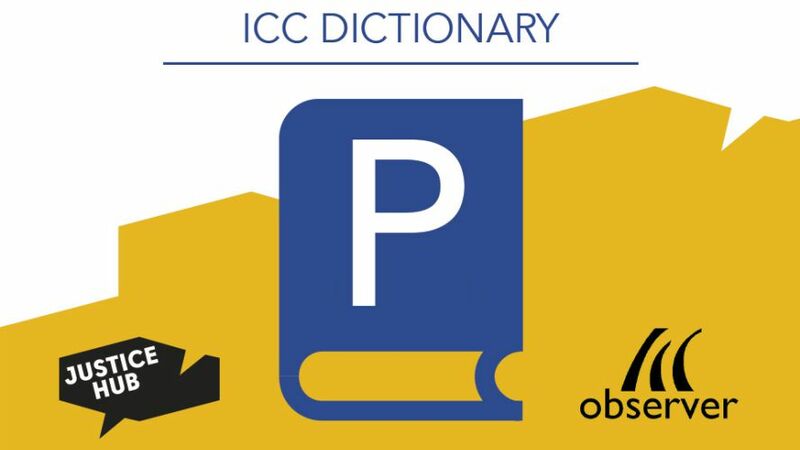 The ICC Dictionary by Justice Hub and ICCobserver guides you through the complex world of terms and concepts at the ICC. Benjamin Duerr is a correspondent and foreign reporter covering the International Criminal Court and the war crimes tribunals in The Hague.